Giveaway dose: Check Out Lovely Pink Prom Dresses ! Of all the colors in the universe Pink is one of my favorite. So today we will talk about Pink Prom Dresses :) The color pink is related with softness, elegance and pretty. When I think of pink color, what cross my mind is simplicity with a pinch of feminine look. So, we ladies can wear romantic pink prom dresses to convey romance and love to their soulmates, pastel pink shades to convey softness, And so on. Pink is a very common color, all of we girls/ladies love to own pink stuff weather it is pink heels to pink stationery and even we love our room to be decorated with pink color. So why not pink prom dress ? yes we can always buy pink prom dresses online , I just can’t resist from indulging myself in buying a pink prom dress for myself from the amazing vast collection available online. 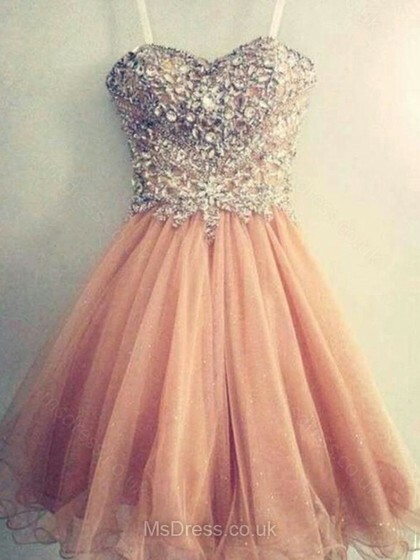 A mini pink colored prom dress, prefect for every girl who is slim or healthy doesn't matter. Love its embellished design in the upper part off the dress. Well if you are looking forward to flaunt your beautiful curves in your prom night then this dress is the perfect one plus its a celebrity style prom dress. This prom dress is perfect for tall girls as the flowy design of the dress from middle to botom is very beautiful and will allow those girls to show their height perfectly. Hope you all liked this and i have helped you guys upto some extent also as to what type of Pink Prom dresses to wear.